I'm gathering feedback on the best way to show a keyboard on screen that will provide different keys depending on the input needed. I need the keyboards to be consistent for the whole flow, despite the specific rules per entry, and to be compact (visually), since the space is limited in the last input (#3 does not need a field above, since the entry field is on the side). I clearly don't want to reinvent the standards, so I'll like the "0" to be centered, right below the "8". Here are some options to help you imagine it. Hope it makes sense. The set I like the most is shown as Row 1. What do you think? A1, B1, C1. But shouldn't the keyboard be flipped vertically? Here's what I would expect to see serving the purpose, without further knowledge of your usage... Too, I would expect a Back button. Not the answer you're looking for? Browse other questions tagged web-app mobile-application keyboard keyboard-layout keypad or ask your own question. What's the Best Interface for Entering Canadian Postal Codes on a Smartphone Keyboard? How would you signify that a number entered represents the length of the sides of a square? 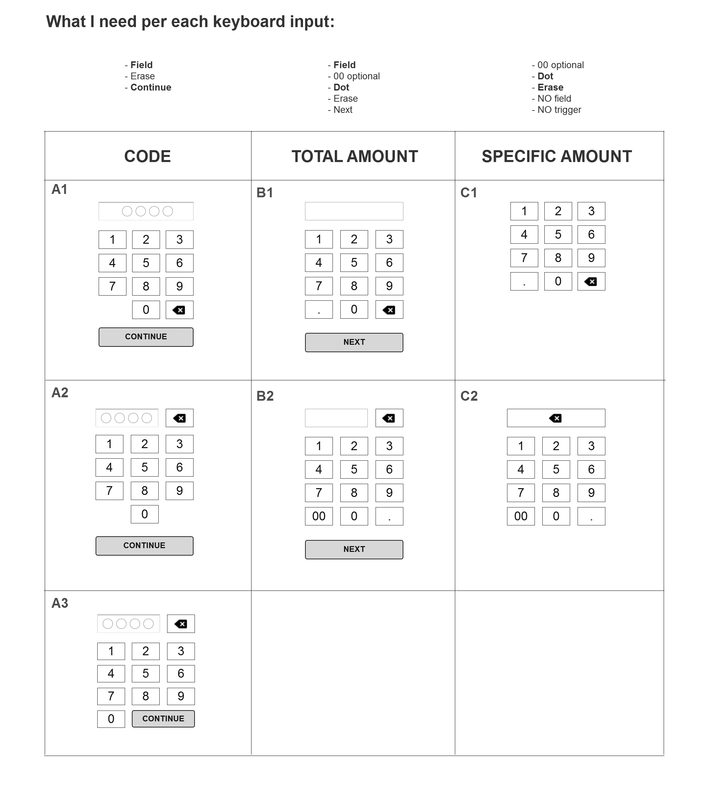 Which numeric keypad layout (PC or register) should be used for a touch panel?